The woman who administers the metaphorical key to the country’s Treasury and is responsible for dividing the wealth among its citizens isn’t easily unsettled. Finance ministers come and go, government’s income and spending priorities change, departments can sometimes fight like small children over what’s theirs, and she, Treasury and the department of planning, monitoring and evaluation have had to find a way to come up with billions of rands to fund free higher education at the eleventh hour, says Kay Brown, chief director of expenditure planning at Treasury. But when she speaks of her 16 years at Treasury – especially her current post, which she holds until the end of the month – it’s clear she trusts the thorough, transparent budgeting process and the team of people she works with. But it remains the duty of officials to best advise the minister and to present the options honestly, along with all the pros and cons. Brown says that when she closes her office door at Treasury at the end of this month to become CEO of the financial and fiscal commission, it’s the people she’s going to miss the most. The fact that South Africa’s budget process has, for the second time in a decade, been recognised as one of the most transparent in the world, is the result of years of hard work and commitment from the whole team. Treasury’s team puts effort into being transparent and doesn’t take the accolade for granted, she says. There are some countries where citizens don’t even get a budget speech every year. The budgeting process never really ends, because the functions continue. 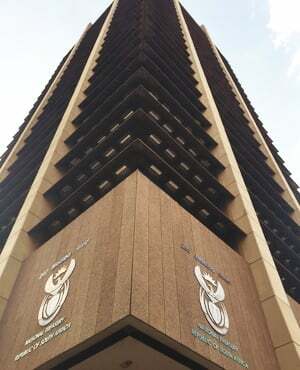 The national budget that is tabled in Parliament each February follows marathon meetings that take place throughout the year, at various levels of government, between departments, individually and in groups. There are analyses, adjustments and report-backs. There are high-level meetings, where directors-general of departments such as public service and administration, and cooperative governance and traditional affairs are involved. Finally, the budget ends up before the ministerial committee on the budget, headed by the minister of finance. Eventually, it’s February and the budget is in Parliament. That’s why this year’s budget day, just days after President Cyril Ramaphosa delivered his first state of the nation address, was a good one. The markets were satisfied. She says no country in the world has ever claimed to have got it perfectly right, but “hopefully you don’t get it horribly wrong”. If a budget was only a technical process, a computer would be able to do it. Human judgement is important, because it’s also about implementing a particular policy. For that, there are various options available and the situation and circumstances at a given time will determine which is chosen. Brown smiles about departments that are not always happy with their allocation. But departments are aware of budgeting priorities. August to October is the most difficult time in the budgeting process, because that is when work for the mid-term budgeting framework is completed and interim adjustments are made. This is a technical process, because adjustments can only be made in terms of the Public Finance Management Act for certain reasons and according to prescribed criteria and requirements, explains Brown. She is excited about the progress South Africa has made in the budgeting process, with public participation and input from civil society. Brown headed outreach programmes to various communities, which led to the development and introduction of an online portal about the budget, vulekamali. It’s a partnership with civil society coalition IMALI YETHU. It offers a platform where South Africans can engage with each other, IMALI YETHU or Treasury. With so much on her plate, between the meetings and the long hours, there is surely time for weekends to herself? “No ... children and motherly duties,” she jokes. But she always tries to make time for a braai with friends and family, and she likes to read.